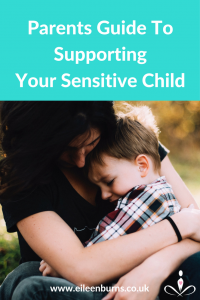 Do You Find Supporting Your Sensitive Child Challenging And Stressful? Are You Anxious Or Fearful You Are Not Doing Enough For Your Child? Or You Are Not Doing Things Right For Your Child Who Is A HSP? Highly sensitive kids and those with sensory processing challenges are more likely to experience anxiety, stress and over stimulation on a daily basis. So it is important that their carers, parents and guardians learn how to manage their own stress and know key strategies to help their child. It is provided by highly qualified and experienced stress expert, therapist and healer, Eileen Burns. Eileen began working with highly sensitive children, teenagers, parents, carers 17 years ago. She teaches powerful yet simple stress management strategies including meditation and relaxation therapy for all ages. She provides professional accredited relaxation therapy training for coaches and therapists.